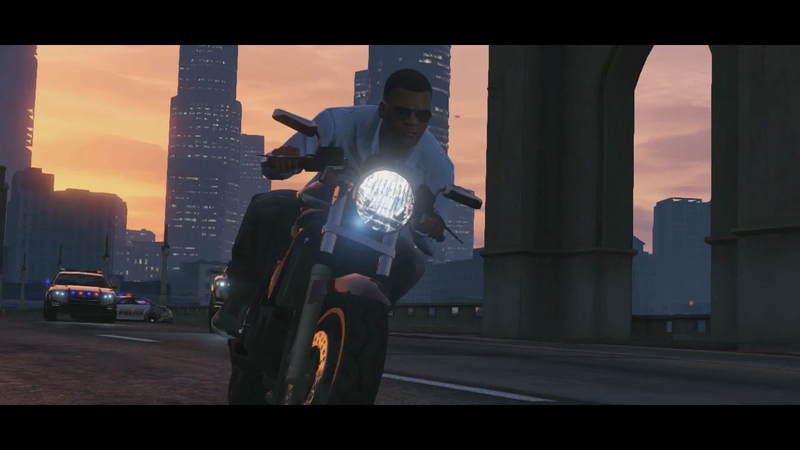 The PC version of GTA V will go live tonight and be available at retailers tomorrow. With the PC version comes an updated video editor that will be more than a simple capture option. Presenting the Rockstar Editor - a special feature in Grand Theft Auto V for PC that allows players to record, edit, and share videos created from footage in both Story Mode and GTA Online. Watch today’s video "An Introduction to the Rockstar Editor" for an overview of just some of the features of this powerful video creation tool including special camera modes, filters, depth of field and audio customization options - as well as the unique Director Mode feature that allows you to stage creative moviemaking sequences from a cast of characters ranging from familiar faces from Story Mode, to pedestrians and even animals. You’ll be able to upload your finished masterpiece to YouTube and to the Rockstar Games Social Club to share with friends. The Rockstar Editor will be available for use in GTAV PC when the game is released tomorrow. For much more information and to start brushing up on all of the Rockstar Editor’s features, controls and settings, you can also check out the full Rockstar Editor Online Guide at the Social Club website. Sounds awesome! Join the chat in the forums! Rockstar Editor - Video Introduction - A key point to the PC version of GTA V is the updated video editor to capture not only your gameplay but also set up scenes for machinimas.